Gas and Water Pipelines Limited t/a Drainage Shop recommend that you print out and keep a copy of these terms and conditions for future reference. 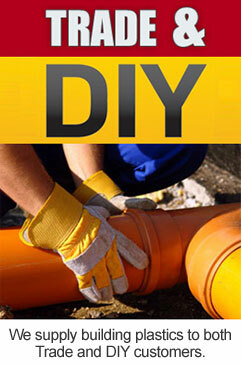 This site is owned and operated by Gas and Water Pipelines Limited t/a Drainage Shop , ('we' or 'us' or 'our'). If you have any questions or comments with regard to these terms and conditions please contact us by either email: infor@drainageshop.com or phone: 0800 917 0006 (Monday–Friday, 08:00 to 17:00). Any contract for purchases made through the website will be with Gas and Water Pipelines Limited trading as Drainage Shop. Drainage Shop must receive payment of the whole of the price for the goods that you order before your order can be accepted, and the contract formed. Once payment has been received Drainage Shop will confirm that your order has been received by sending an email to you at the email address you provide in your registration form. The shipment email will include your name, the order number and the total price. Drainage Shop's acceptance of your order brings into existence a legally binding contract between us on these terms. Any term sought to be imposed by you in your order will not form part of the contract. Drainage Shop are entitled to withdraw from any contract in the case of obvious errors or inaccuracies regarding the goods appearing on our website. If an error or inaccuracy is discovered with regards to the advertised price of the goods that you have ordered, we will contact you as soon as possible by e-mail. This will be to inform you of the correct price of the goods, and to ask you if you wish to continue with the order at the amended price, or to cancel the order altogether. These terms and conditions only cover the drainageshop.com website . Any other websites which are linked to from this site are governed by their own terms and conditions. We accept no responsibility or liability for the content or operation of websites, which are not under our control. We are required by law to tell you that sales can be concluded in English only and that no public filing requirements apply. Gas and Water Pipelines Limited t/a Drainage Shop own the copyright, trademarks and other intellectual property rights in all material and content on this website, which you may use, download, copy, publish, transmit or otherwise make available by any other means only for your own personal, non–commercial use. Any other use or reproduction of the material or content is strictly prohibited. While we will use reasonable endeavours to verify the accuracy of any information we place on the Gas and Water Pipelines website, we make no warranties, whether express or implied in relation to its accuracy. We make no warranty that the Drainage Shop website will meet your requirements or will be uninterrupted, timely or error–free, that defects will be corrected, or that the site or the server that makes it available are free of viruses or bugs or represents the full functionality, accuracy, and reliability of the website. We will not be responsible or liable to you for any loss of content or material uploaded or transmitted through the Drainage Shop website. Drainage Shop accepts payment by Visa, MasterCard, Switch, Maestro and Delta. 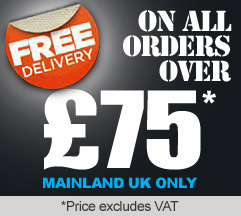 All product prices and delivery charges are shown in UK pounds sterling. Your payment card company will perform any currency conversion. Upon receiving your order Drainage Shop carries out a standard pre-authorisation check on your payment card to ensure there are sufficient funds in order to fulfil the transaction. No payment is debited from your card during this pre-authorisation check. Your card will only be charged upon dispatch of the items in your order. Your card will not be debited for items in your order which have not been dispatched, apart from magazine subscriptions, which, due to their nature are invoiced before the magazine is dispatched. 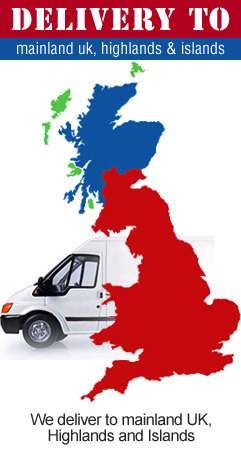 If Drainage Shop has insufficient stock to deliver the goods ordered by you, we will notify you as soon as possible and any sum debited by Drainage Shop from your credit card will be re-credited to your account and Drainage Shop will notify you by email at the address given by you in your order form. The refund will be made as soon as possible and in any event within 30 days of your order. Drainage Shop will not be obliged to offer any additional compensation for disappointment suffered. Drainage Shop reserves the right to make changes to our site, policies, and these terms and conditions at any time. If any of these conditions shall be deemed invalid, void, or for any reason unforeseen, that condition shall be deemed severable and shall not affect the validity and enforceability of any remaining condition.